The Human Design Bodygraph is pictured in the illustration below. Its primary elements are the nine Centers represented by the square, and triangular or diamond-shaped areas within the chart. 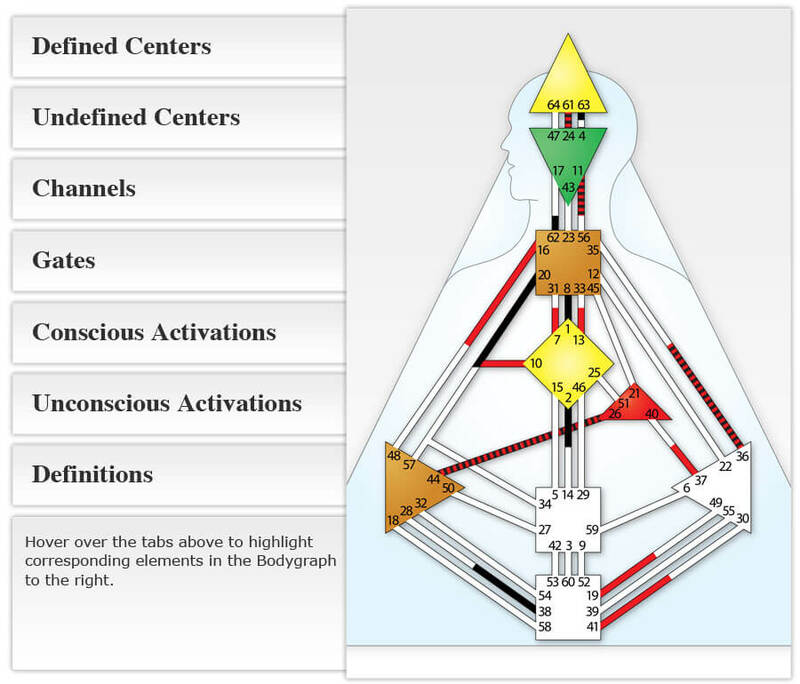 Each Center represents a specific realm of experience: our feelings, thoughts, identity etc. 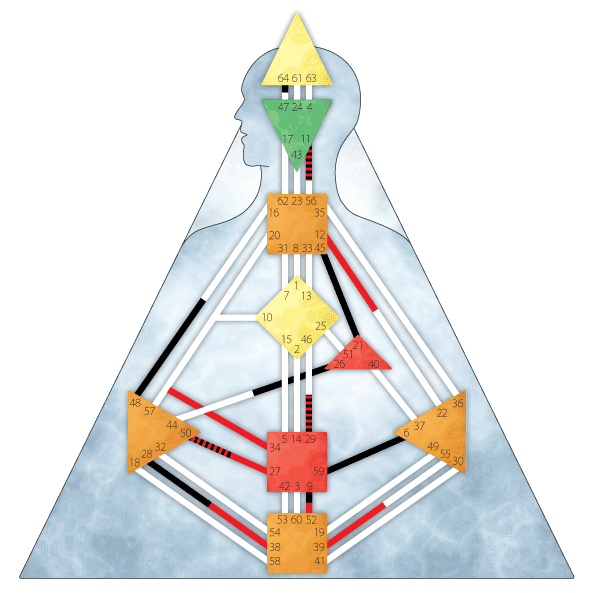 Centers are derived from the Hindu-Brahmin Chakra system. The lines connecting these Centers are called Channels. There are 36 Channels. Channels come from the Sephiroth of Kabala. In each Center, at the end of each Channel, is a number, representing 'a Gate.' Channels are made up of two Gates. There are 64 Gates.